SmartBox AV Controller – how cool is that? AV controller SmartBox® puts control of all audio video equipment in your hands. To show movies in the park or in your backyard, you need a projector, a playback device, a sound system, and a big screen. You can get away without the fifth component of the outdoor cinema package, but should you? 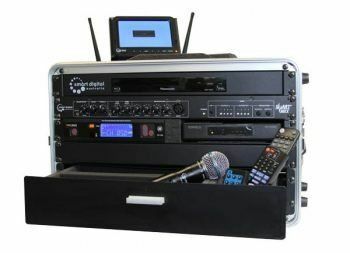 The fifth component is an AV controller SmartBox®, also called an AV gig rack, or an AV console. We also call it multimedia controller. Let me explain what SmartBox is and why you need it for your indoor and outdoor entertainment. The main component of a SmartBox® is an analog audio mixer. 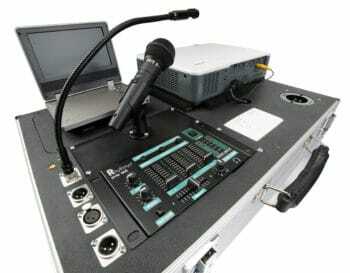 It combines the audio signals from the playback devices or microphones and sends them to the speakers. And here comes the first surprise – the quality of sound is so much better if sent via the mixer! For example, you are using your smartphone to play music for a big group of people. You can connect the audio cable direct from the iPod to the speakers – the sound will be very average. Plug the smartphone into the mixer, and listen to the difference! Now you can dance! Same happens with the movies. You can hear the soundtrack if you connect the projector to the speakers, but the real cinematic effect is only possible if the sound goes via the mixer. You can adjust bass and treble separately for more precise sound control. Plug in the microphone – and here you’ve got a complete PA system, with active speakers, mixing console, and a mic, as a part of your outdoor cinema package! Second surprise! Third surprise is our little invention, which turned a simple audio mixer into an audio video control system. Use built in HDMI matrix to connect any device, like games console or laptop, and split the video signal into two screens! Another vital component of a SmartBox® is a Blu-Ray / DVD player. Sure you can have your DVD player on the side table connected to the projector. However, the built-in player pre-wired to the mixer is so much neater, with fewer cables around. The top of the range model, SmartBox® Platinum Plus, has a professional Blu-Ray player Denon with onscreen display. Others have reliable domestic brand, like Panasonic, built in the metal casing. Truly portable and compact solution. All the components are built in the protective carry case. Moving equipment around is easy. Moreover, you can be sure it’s all safe and in one place, including the cables stored in the mesh compartments of the lids. Protect the equipment from water and dust – the carry case is made of moulded plastic ABS, lightweight and durable substitute to old road cases. Use the drawer to store microphones and remotes. We constantly improve our SmartBox® solutions, and build in different equipment, from UHF receivers for wireless microphones to set top boxes required to watch live TV. 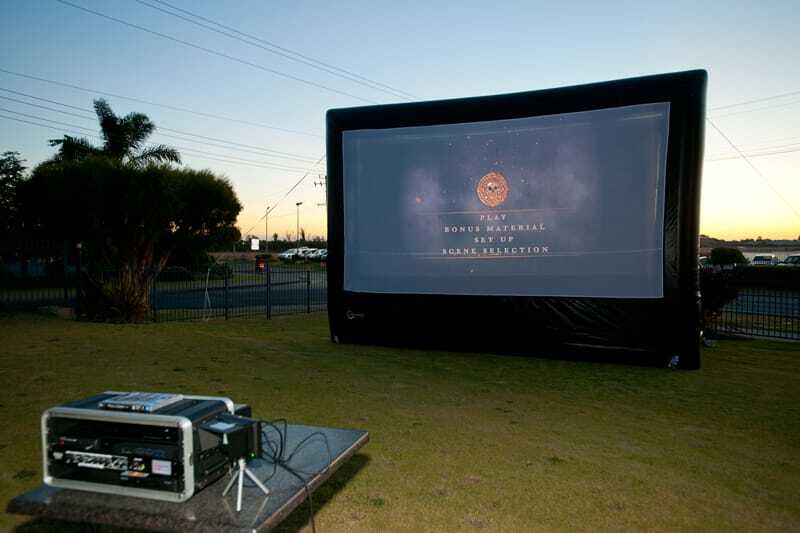 Broaden your horizons and use your outdoor cinema not just to watch movies. With SmartBox® models, you can have a karaoke party, watch live TV, play computer games, and have hours of fun! Professional operators love SmartBox® AV controller for convenience and ease of operation. Just plug everything to the SmartBox® and play, instead of setting up every individual component for every event. All SmartBox® models are available via our online shop.